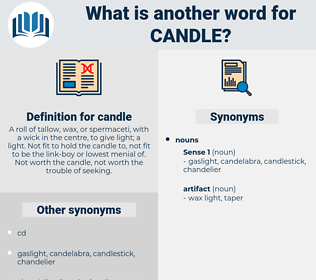 What is another word for candle? A roll of tallow, wax, or spermaceti, with a wick in the centre, to give light; a light. Not fit to hold the candle to, not fit to be the link- boy or lowest menial of. Not worth the candle, not worth the trouble of seeking. The landlord raised and lowered his candle that Wogan might see. Ichabod was leaning near the candle. 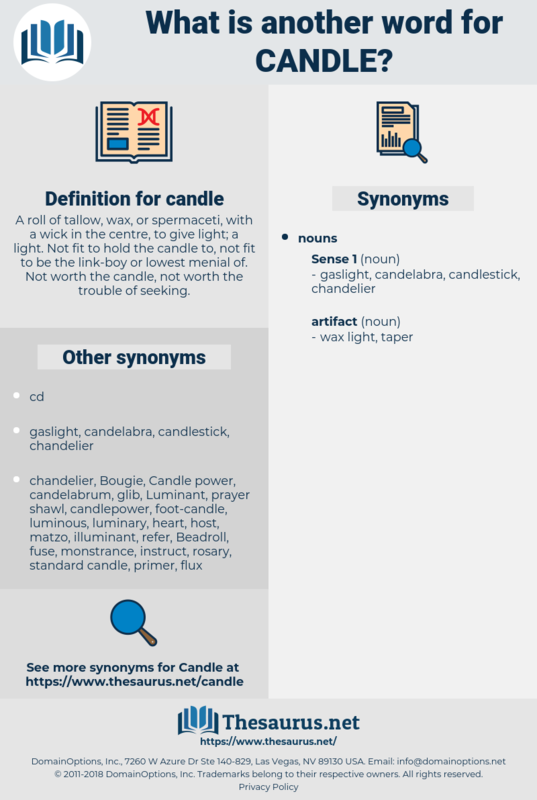 dip, vigil candle, rush candle, vigil light, chandlery, rushlight.